The world’s coldest, bleakest, most forbidding place to cruise is also among the most expensive. So why bother? Because the vast continent of Antarctica boasts dramatic snowscapes, countless icebergs and giant glaciers. Because this magnificent wilderness is the habitat of massed flocks of penguins and herds of seals. And because humpbacks and orcas are just two of the nine species of whale that frequently break the surface of these crystal waters. The Antarctic is no place for poor sailors, however. Ships need to negotiate the notoriously rough Drake’s Passage on the voyage down from South America, so choose your vessel and your schedule carefully. November to February – summer in the southern hemisphere – is the best time to go, for both wildlife and relatively calm weather, though it’s still pretty cold down there. The lowest prices are offered by the big ships, but only a few make the journey and you won’t be able to go ashore. If you’re happy to admire the scenery from on deck and use binoculars to survey the wildlife, then mainstream is the way to go – but if you expect close-up cruising and shore landings, you should be looking at much smaller expedition vessels, equipped with nimble Zodiacs. Such ships can be quite basic but several have been built to handle the ice while offering a more luxurious experience, and there are more of these on the way. 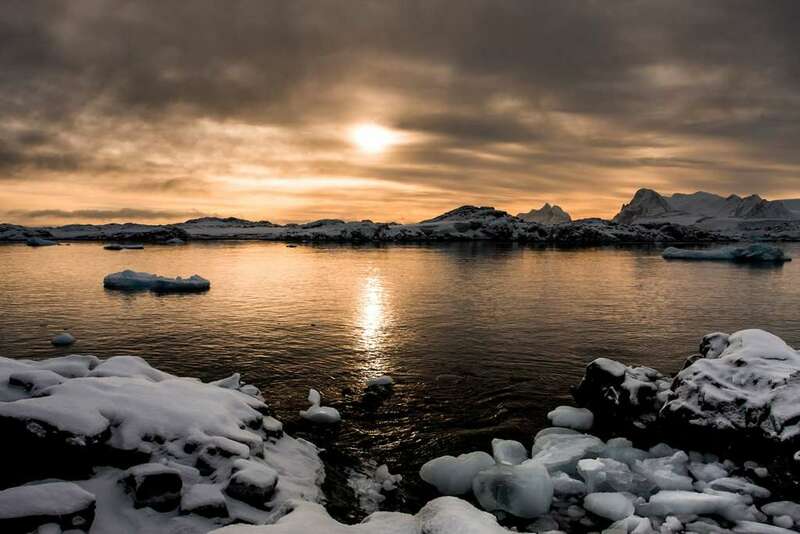 Shorter itineraries and larger vessels visit the mountainous South Shetland Islands and the top end of the Antarctic Peninsula. Among the wildlife in these regions you’ll find Adélie and chinstrap penguins, along with leopard and fur seals. Smaller, tougher ships can explore further south. Longer journeys often take in remote South Georgia as well as the Falkland Islands, which have their own communities of birds and mammals. Some voyages are offered with UK flights, while others include charter flights from Buenos Aires or are cruise-only from Ushuaia or Punta Arenas at the tip of South America. Specialist cruise agents can put together a package for you. Offering some of the better-value expeditions, G Adventures is very experienced at cruising in remote locations. A 12-night “Antarctic Classic in Depth” itinerary spends six days around the South Shetlands and Antarctic Peninsula compared to the usual four, and many guests will think it worth paying the extra to enjoy more opportunities for hikes and photographing penguins, seals, whales and albatrosses. Two shore landings per day are attempted, depending on the local conditions. The 134-passenger, bright-red Expedition carries 14 Zodiacs along with a team of marine biologists and other experts. But this is no spartan icebreaker: comfortable cabins, good food, an observation deck and the Polar Bear pub keep guests content. If you want to make the most of your adventure, consider a longer cruise that encompasses the incredible landscapes of Chile as well as Antarctica. You certainly won’t be roughing it on Seabourn’s all-balcony, 458-passenger Quest. Even down in the White Continent its crew will push the boat out with events such as Caviar on the Ice, after which there’s endless complimentary champagne and the finest cuisine under the glittering chandeliers back on board. A 20-night “Ultimate Antarctica & Patagonia” trip from Santiago in Chile to Buenos Aires in Argentina will explore the majestic fjords and glaciers of Chile before heading further south. Take a look at an artist’s impression of Hurtigruten’s 530-guest MS Roald Amundsen, set for launch this summer, and you’ll want to jump straight on board this futuristic expedition ship. Whisper-quiet hybrid engines satisfy all environmental requirements and won’t disturb the wildlife as the vessel charts a course through the frozen South. Next winter’s 19-night “Antarctic, the Polar Circle and Beyond” itinerary is scheduled to cross the Antarctic Circle if conditions permit, and it will also take in the ice-choked Lemaire Channel and a former British research station, as well as visiting the Falkland Islands. Roald Amundsen is designed for polar cruising but there will be plenty of creature comforts such as swimming pool and fine dining. Remember those scenes of penguins walking among enormous elephant seals in the last episode of Blue Planet II? That was South Georgia, a spectacular island 800 miles from Antarctica. Small-ship specialist Noble Caledonia will be taking its own vessel, the plush Island Sky, to Antarctica for the first time next winter. The comprehensive 24-night expedition, called “In the Wake of Shackleton”, will not only include South Georgia but the Falklands too, and the team aboard the 114-passenger, all-suite ship will include guest speaker Rear Admiral John Lippiett, a veteran of the Falklands War. This is a voyage to consider if you want everything arranged for you, including all the transport and hotels along the way. Expedition cruises can be expensive, so if you want to cross Antarctica off your bucket list and you’re willing to swap shore landings for more facilities on board, look at one of the more mainstream ships. On Holland America’s 1,400-passenger Zaandam, guests enjoy a swathe of restaurants, sparkling shows, pools and a cookery school. The 22-night “South America and Antarctica” cruise starts in Santiago, Chile, and ends in Buenos Aires, Argentina, visiting contrasting ports along each coast and exploring the stunning Chilean fjords, as well as spending four days gliding around the Antarctic Peninsula. You should still see whales near the ship, though binoculars will be handy for the penguins and seals. Scenic’s sleek new Eclipse, due for launch this year, would look quite at home in Monte Carlo. Yet this super-deluxe “discovery yacht” will be found far from the fleshpots next winter. Spacious suites with balconies, multiple fine dining options including Japanese, a sumptuous spa, a theatre and pools will all cosset the 228 guests. 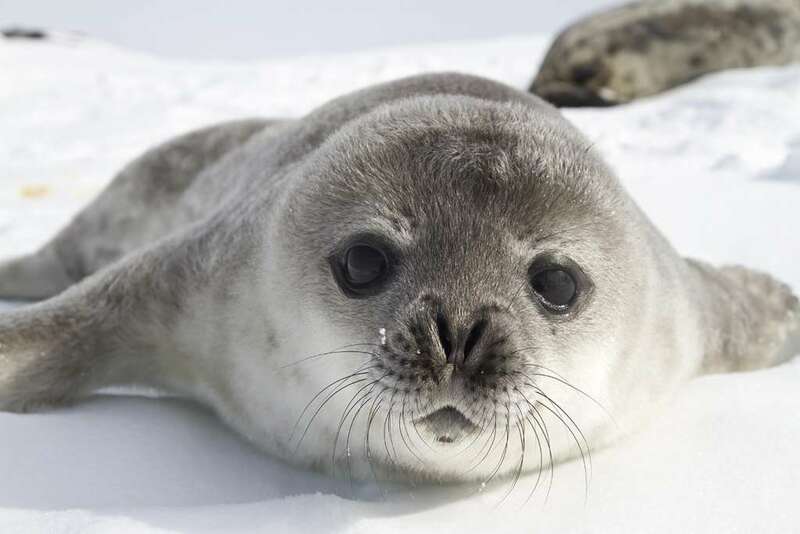 But Eclipse’s 15-night “Ultimate Antarctica” voyage is not for softies. There will typically be two landings per day using the Zodiacs, while the only thing you’ll have to pay extra for are trips on the ship’s submarine and helicopter. The package includes a couple of nights in Buenos Aires before the adventure begins. More than 200,000 chirping king penguins mass on South Georgia to breed, but you need expert help to visit them. Who better than Stephen Venables, an explorer who is one of the foremost authorities on this isolated island? He will be part of the team on the five-star expedition ship Resolute, half of whose cabins have been chartered by UK tour operator Steppes Travel for a special voyage. A purpose-built polar vessel, Resolute accommodates around 120 passengers in considerable comfort, with two bars, two restaurants and a spa. The 18-night round trip from Ushuaia additionally takes in the Falklands and Antarctica, and guests will have chances to hike, snowshoe and even camp ashore. Renowned photographer and filmmaker Sue Flood will also be on board. 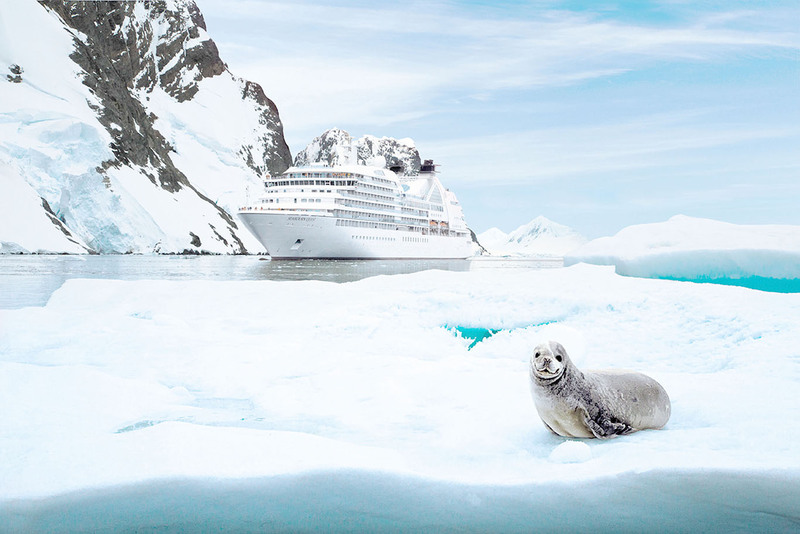 Another way to visit South Georgia and Antarctica in luxury is with Silversea, on its ice-strengthened Explorer expedition ship. This 144-passenger vessel has just been refurbished and offers plush suites, two restaurants and a spa. With all-inclusive dining, service and shore excursions, and a crew-to-passenger ratio of nearly one to one, you can look forward to being thoroughly spoiled. And with 12 Zodiacs to take you out into the wide white yonder, you’ll appreciate a warm welcome back on board. The Falklands are often regarded as merely an interesting add-on to the majesty of the Antarctic Peninsula, but the richly diverse wildlife of this group of islands makes it an enticing destination in itself. Explorer visits two of these islands to discover the dolphins, albatrosses and rockhopper and Magellan penguins that make their home here. 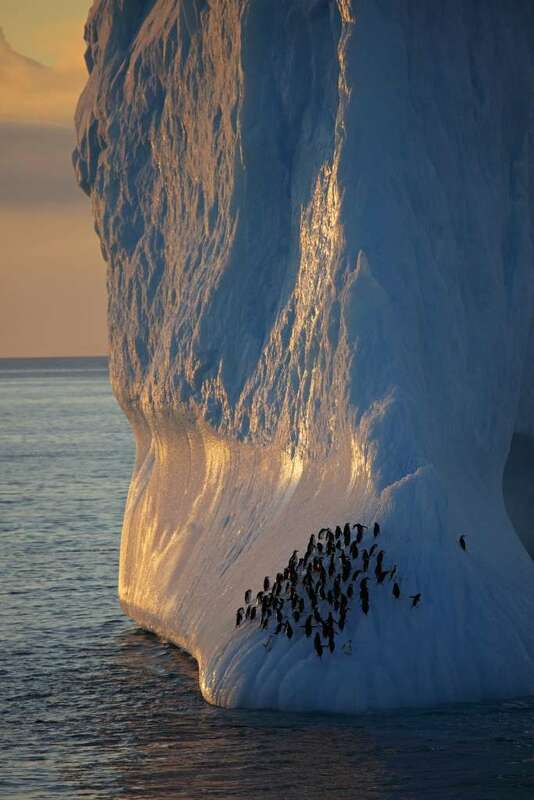 Various types of penguin inhabit the Antarctic Peninsula but the largest of them all – the emperor, which grows to more than 3ft in height – is more difficult to locate. Oceanwide Expeditions charters a research ship that sneaks round to their home in the Weddell Sea on the rarely visited east side of the peninsula. The 116-passenger Ortelius carries a helicopter as well as Zodiacs to ferry guests to remote landing spots on a 10-night itinerary from Ushuaia. 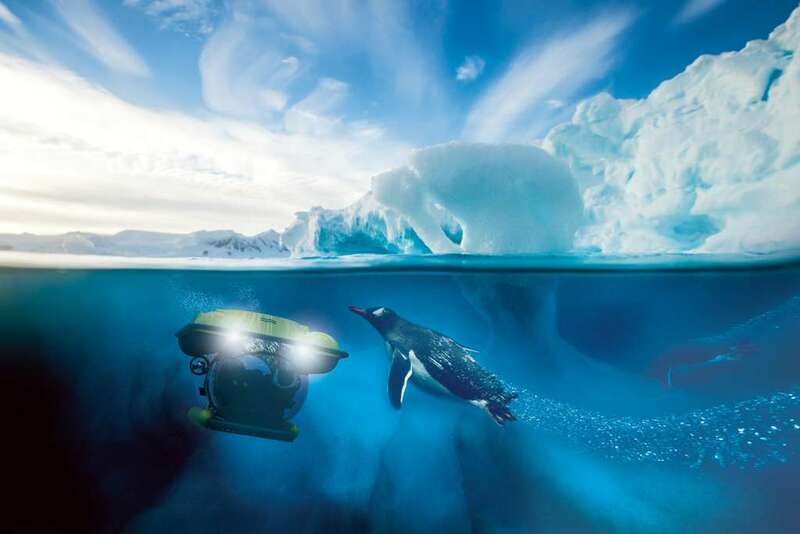 Oceanwide also plans to offer expedition cruises to the Ross Sea in the far south of Antarctica in the near future, and has a hi-tech new ship, Hondius, lined up for launch in March 2019. UK cruisers may be familiar with Celebrity Eclipse taking them from Southampton to Scandinavia or the Mediterranean in previous years, so it will be a surprise to see this 2,850-passenger ship wandering among the icebergs of Antarctica next winter. Representing probably the cheapest way to view this frozen wilderness, Eclipse sails on a 14-night round trip from Buenos Aires that includes the top end of Antarctica. You won’t be able to leave the ship in the far south (there are barely any jetties, let alone quays) but you should get a good overview of the seascapes and wildlife from the real grass lawn on the top deck. And you can still say you’ve touched the ice, thanks to a frost-topped counter in the ship’s Martini Bar.